Most adults experience at least one traumatic event in their lifetime: the death of a loved one, divorce, abuse, etc. That said, memoirs are ubiquitous. I’d list some here, but I wouldn’t know where to start. Speaking of where to start, how does one even begin to translate trauma into memoir? I headed down the sidewalk … It was a hot, sunny afternoon. The beach was calling, but I wanted to check out the famous Third Street Promenade and the farmers’ market. Wow, that peach looks good. Bang! What happened? Plums, pears, melons, and cucumbers sat in perfect order … Like umbrellas, giant sunflowers protected shoppers from the sun—a huge lemon in the sky. Spanish and English voices collided. I leaned my ear toward the romantic Latino sounds: “Hola. Tres por un dolar. Pruebe una muestra.” People chattered, seagulls shrieked, and children whined. A mother gripped the handle of a stroller that held her infant son while clutching the arm of her pre-school age daughter. I glanced at my wristwatch; it was almost two o’clock, the time the farmers’ market was to close. People scurried past me in search of the best berries, apples, artisan cheeses, and tropical fruits. Through the crowd of shoppers and maze of colors, I saw a pyramid of peaches. My mouth salivated. I edged closer to the peach vendor and touched a perfectly round one. I picked it up. Recently tilled earth wafted toward me—summertime. The downy flesh tickled my palm. I couldn’t wait to take the first bite—the crunch, the squirt, the sugar, the juices. I heard a deafening pop. The sound of a gunshot. The peach was present. Then it was not. Do you hear the voices in the crowd, see the mother looking out for her children; feel, smell, taste the peach? Writing metaphorically means writing universally. What about the other element of the “experienced voice”—reflection? Consider the following scene just prior to the surgeon taking me to the operating room to remove my spleen: As a pediatric nurse for fifteen years, I had witnessed the needless suffering of infants and children: the barely twenty-three-week preemie whose heart rate would plummet to near zero when I changed her napkin size diaper, whose skin was as transparent as cellophane wrap, and who lived just twenty-four hours, enough time for Mom and Dad to say good-bye. Though I told [the surgeon] not to do anything to save me, I didn’t consider what he must have been going through. As a nurse, I realize there are no guarantees, and I’m sure he did all he could to hide that thought behind his dimpled smile. Examining how you view an event then-versus-now, and how trauma affects others, expands the story beyond your cloistered world. Or, as another mentor said, “brings the story beyond your story.” As with metaphor, the trauma then shifts from a therapeutic purging, as in my original draft, into a memoir—a work of art. But, since I’m still working on mine, I can’t tell you how many drafts it takes to get there. Melissa Cronin holds an MFA in creative nonfiction from the Vermont College of Fine Arts. She’s written for the on-line magazine, Brevity, and Hunger Mountain: a VCFA Journal of the Arts as well as several Vermont newspapers. She is currently working on a memoir, Peach, about the 2003 Santa Monica Farmers’ Market, and blogs at Musings on Aging. A nurse and Irish fiddler, Melissa lives with her husband in South Burlington, Vermont. A timely post for me, as I continue to work on a memoir. The "how I feel now vs how I felt then" is such an important aspect to consider, and I'm sure I haven't done it enough. I feel a revision coming on! Thanks for this great post. ocdtalk, a few books to check out: Writing the Memoir by Judith Barrington, Inventing the Truth and Writing About Your Life by William Zinsser, Tell It Slant by Brenda Miller, and the one Melissa mentioned, Fearless Confessions by Sue Silverman. They're all supposed to be good. And for story arc: Robert McKee's Story. I wish there were a magic number of drafts. I pitched mine over the weekend and received great feedback, which will translate into another revision and a submission. I hear that, Stacy. And it's so difficult to know WHEN to stop revising because there will ALWAYS be someone who thinks you should change this or that. At some point you have to say, "Sorry, it's done." But that can be after 6, 7, 10, 12 drafts. Melissa touches on a couple of really important points here. 1) you can't create an artistic statement about an event until it's over. As with most traumatic events, hers wasn't "over" enough to write about for six years. 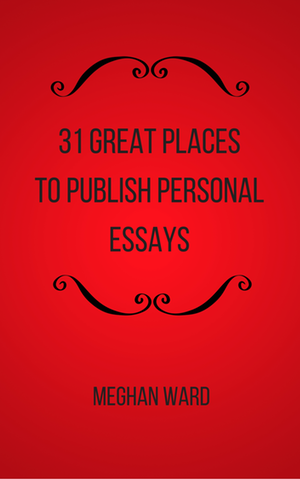 2) You have to learn to write before you can create a publishable book. Great post. Anne, it would be interesting to take a poll of all memoirists who have written about trauma and tragedy and see how many years after the event they wrote the book – or finished the book. I can imagine many starting right away and then putting the book down for a few years. I just subscribed to your blog, Meghan, after coincidentally following a tweet from Anne R. Allen above. Also coincidentally (or not), I live in Los Angeles and have a friend who suffers from PTSD after the event Melissa describes above. She was not injured, but witnessed it all. I very much admire Melissa's courage in writing about it and sharing her learning process. That is a coincidence. Has your friend written about her experience witnessing the farmers' market tragedy? It would be fascinating to hear her take since many of the victims, like Melissa, didn't see it at all. A particularly timely post, given the tragic events of last week. I imagine a few of those marathon-goers or Texans will have stories to tell once they get the emotional distance. The contrast between the two versions are powerful, and I appreciate your sharing. I too have a "trauma" to write about someday, and after nearly a decade, I might finally be ready to tackle it. Are you referring to the episode in high school that you have hinted at on your blog? You're torturing us, you know that. I do hope you write about it one day soon. And you're right – I bet the marathoners and the spectators – both victims and witnesses, will have many tragic tales to tell. Thank you, Melissa. This resonates on at least two levels, with the good news of your survival and recovery, and with the craft lessons you bring us. I find your extension of the concept of the retrospective narrator very useful–not just someone who reflects on the experience the character-her is going through, but someone necessary in a human AND writerly sense to recreate the fullness of that experience. Richard, In Writing the Memoir by Judith Barrington, she has a chapter titled, "Scene, Summary, and Musing" in which she discusses the necessity of each of those elements of memoir. What a great post, Melissa. And a great blog, Rachel -glad I've discovered you. The example given on the rewrite of the scene is so good I'm going to share it with my students. Such excellent sensory detail, we feel like we are living it in the moment. And yes, the problem with writing about trauma is that we often have to do so much inner work to process it before understanding the experience deeply enough to write about it (although writing helps too). Took me decades before I got to the point I could turn it into literature, so you're doing well. Good luck on your memoir! Who's Rachel? Has she stolen my blog? 🙂 Thanks for your comment, Janice. Glad to have you here! Thanks for the tip, Audrey! What is this Tasdida? Links are not working..
Hi everyone who commented on my guest post. Thanks for all the great feedback, suggestions, etc. Sorry it's been so long since I've been back, and I hope you are continuing to follow Writerland. Trying to convey to others how diferently i see things is very dificult; its hard to know who to trust. But i am learning who to trust "with what"! People either dont want to know; or theyre just not interested, some, when they get to hear our story have been known to then keep away! I know. I know about me. I know who who stole a big part of my childhood, my innocence. Who hurt me badly and caused me to see things the way I do! Unless that somebody has seen or experienced anything near to the things i have, they will NEVER understand. like you would an eyeliner smudge, as previously mentioned. to be the one tht wikll stick wjth them.